Just wanted to say thanks again so much for all your help. The girls had a fantastic time and the Hummer was really cool! The guys were absolutely amazing yesterday. They stocked the hummer with alcoholic & non-alcoholic drinks, a cheese and meat platter, and chocolates! They helped me in and out of the car with my big princess dress and were very well mannered and made our day an absolute pleasure – worth every cent! work with the best in the industry and these guys are a wow factor. Big bridal party or a special bday why not call them! We used Canberra Hummer to surprise my husband for his birthday. Brad went above & beyond to make it perfect for us, I would fully recommend him & his luxurious vehicle to anyone, can’t wait for the next time. The drivers were fantastic! The company was fantastic and easy to deal with – very organised and professional! Highly recommend them! 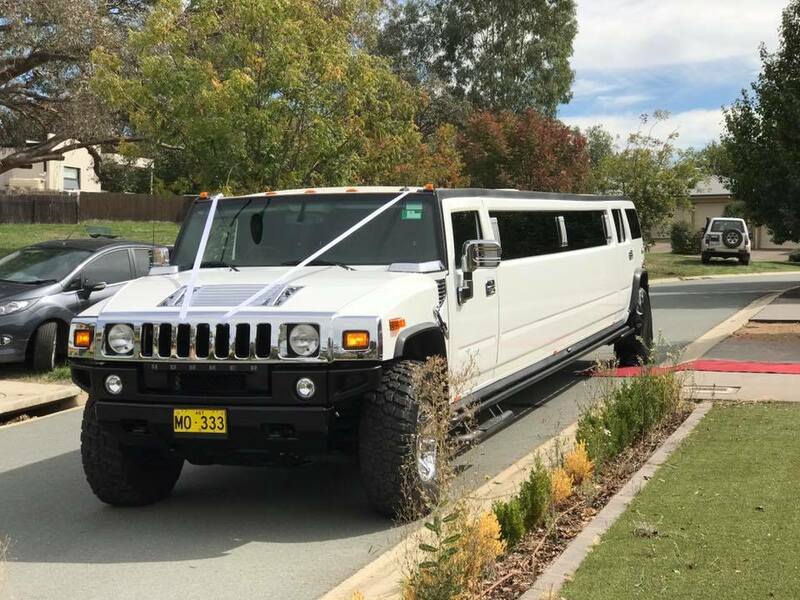 We decided to hire the hummer which seats 16 people, as we had a bridal party of 8 and we were doing our photos first and needed to all arrive together 2 hours before the ceremony to our venue which was out of town. As we still had 8 seats left we asked our younger siblings and parents that weren’t in the bridal party to join in with us on our ride out. It was really special to be able to have everyone together and was such a practical and fun way of arriving to our venue. There were 2 drivers and they were very accommodating to our needs of 2 pick up locations and a numerous amount of photo stops along the way. Our photographer led the way and if he saw a good photo opportunity he would pull over and they would too. 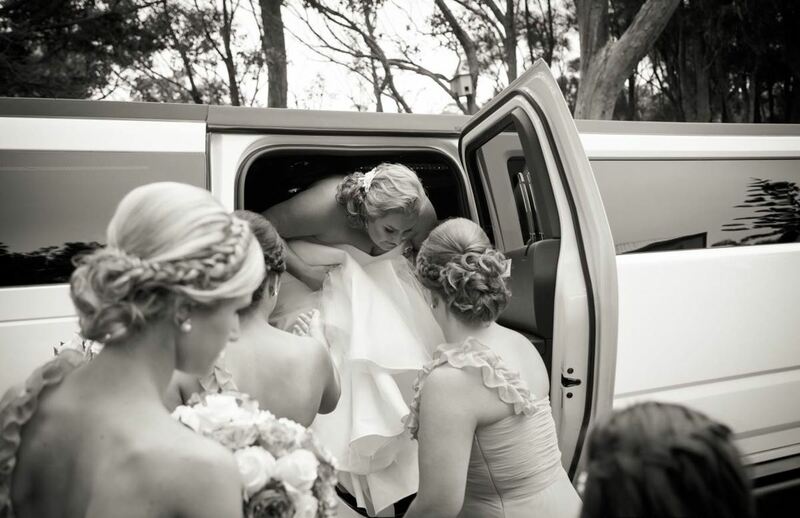 Both drivers helped my bridesmaids and myself get in and out of the hummer every time which was so thoughtful. They also provided cheese platters and champagne. It was a great experience. Could not find a better company in ACT/NSW. Absolutely thrilled with the service & quality. Can not recommend highly enough! Thanks again Brad, you did a brilliant job of making my daughters 18th absolutely Perfect!!! Perfect for our bridal party of 12 last weekend, plenty of room, amazing service and well stocked. Service is everything and Canberra Hummer went above and beyond! Looking for the ultimate in luxury limousine transport? Our lavishly appointed 36 foot hummer seats 16 people in total comfort. 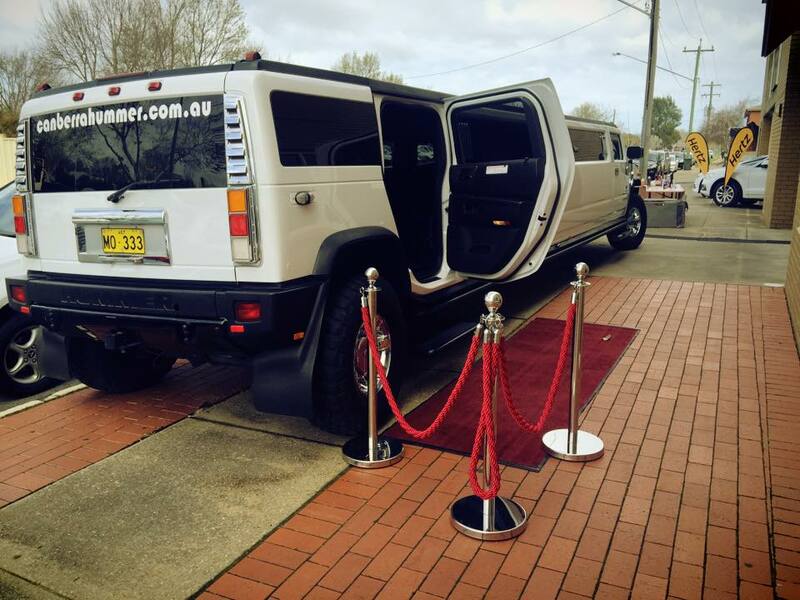 Whether you are attending a party, event, wedding, corporate function or school formal, travel in style in our Hummer. We also offer guided tours if you’re looking to explore the Canberra region with a touch of class. Interested in taking a wine tour exploring Canberra’s finest vineyards? Why hire a bus when you can relax in the opulent surrounds of our luxurious hummer. Our professional chauffeurs are dedicated to ensuring an ambience of style, sophistication, comfort and luxury is maintained throughout your entire trip. We carefully select drivers who have an intimate knowledge of Canberra’s road systems and popular tourist destinations. Because of our professionalism and attention-to-detail we are the trusted name in luxury limousine hire and take pride in respecting our client’s privacy and lifestyles. 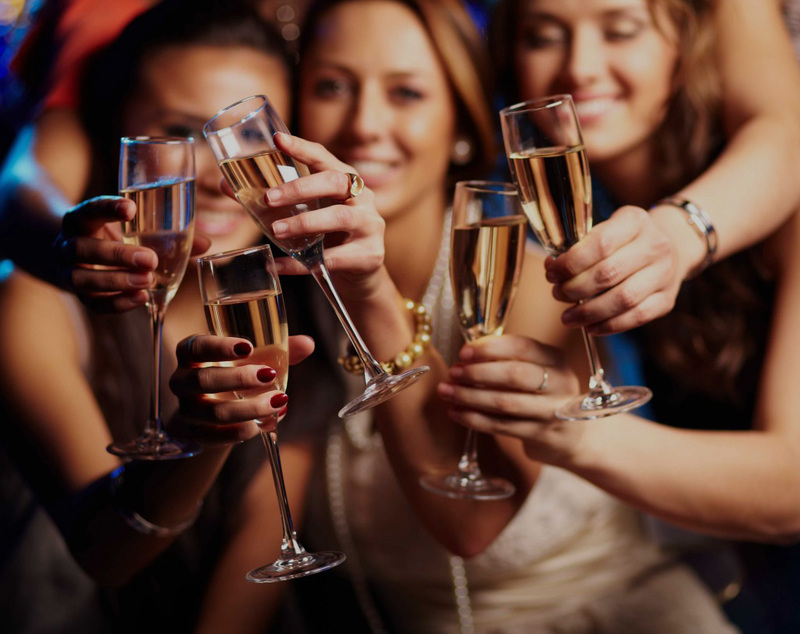 To deliver the highest standard of service to our client’s we offer individually tailored packages for all types of corporate, private and VIP events. We can provide luxury limousine transport as a one-off pick-up and drop-off service or we can chauffeur you to different destinations on a daily or weekly basis, depending on your individual demands. You will be impressed by the luxurious features of our hummer, which has been fitted out to accommodate groups of up to 16 people in decadent style. Whether you want to party the day or night away or be chauffeured in privacy and comfort, our opulently appointed Hummer is ideal for all types of requirements. Call us today to discuss your Limousine hire needs. 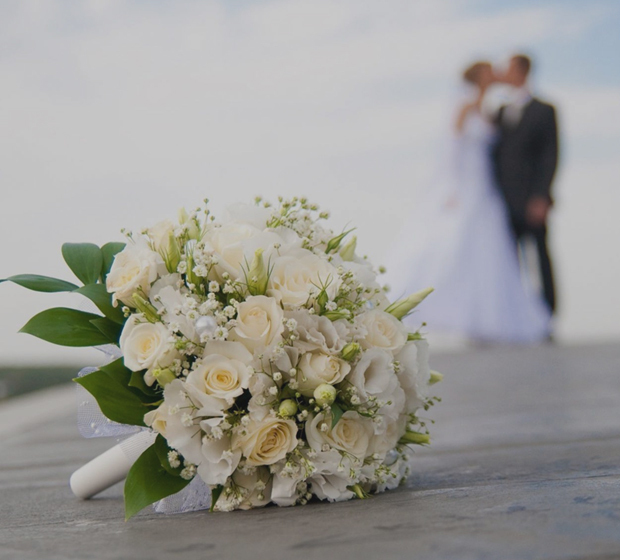 Whether you’re wanting to be chauffeured to an event or function or you require personalised service on your wedding day, we are happy to accommodate. Our Hummer is also comprehensively insured and our experienced chauffeurs fully licensed with full accreditation.